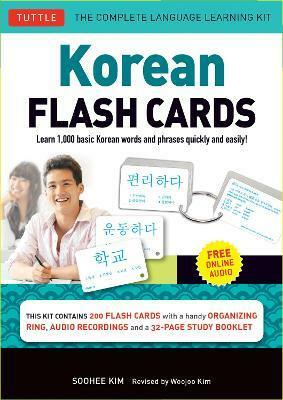 Everything needed to learn to read, write, speak, and understand the most essential words in the Korean language is in this handy set of flash cards--including many hundreds of phrases and sentences using them. The cards in this volume are a great way to learn Korean and contain the most common words and expressions used in daily Korean communication--concrete nouns as well as verbs and adjectives that form the core Korean vocabulary. These are grouped thematically to enable easy memorization and retention. A sample sentence is given to illustrate the use of the primary word on each card which is often a well-known Korean saying or an idiom. Edition Statement Book and Kit with CD ed.